WOW, now THIS is how you do a sequel! God of War II takes everything from its predecessor and increases it tenfold. After conquering Atlas in the first game, Kratos has taken over as the new God of War. Kratos’s bloodthirsty ways have not been kindly looked upon by the other gods, and the almighty Zeus has finally had enough and strips Kratos of his power. Now a down-and-broken man, Kratos sets off on the ultimate quest: to murder Zeus. A lofty task, to be sure, and the journey along the way is nothing short of incredible. The original God of War is a great-looking game, but GOW2 is just beautiful (well, as beautiful as gory non-stop violence can be). The textures have been cleaned up admirably, and everything looks sharper as a whole. While I was impressed with the original GOW’s visuals, this is easily one of the best-looking games ever created for the PS2. The game’s mechanics are largely the same. This is still a prominent hack ‘n slash brawler with platforming, puzzle and RPG elements. There are a handful of new traits that Kratos can acquire, such as the ability to glide and to fly atop the famed horse Pegasus, but the same principles remain. One of my biggest concerns with God of War was its lack of boss battles. This issue has been dramatically improved in GOW2. At the very beginning of the game, you are inserted into an epic battle against the massive Colossus, a boss fight that was forever immortalized by Penny Arcade. Boss battles are everywhere in this game, and some of them rank among the most memorable fights I have ever experienced in a video game. Some people complained about the first God of War’s length (about 8-10 hours). This has also been improved in GOW2, as now a typical campaign will last closer to 12+ hours. These enhancements really show that SCE Santa Monica listened to their fanbase, and you have to respect that. God of War 2 has accomplished what sequels should do in the first place, and that is to improve upon as many aspects as possible. 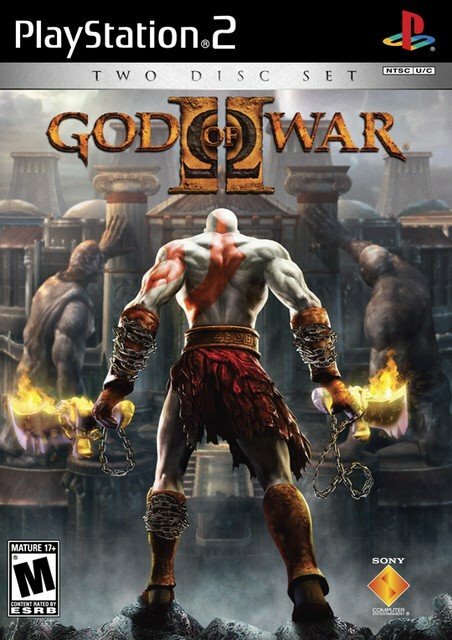 While I hesitate to say the game is “perfect” (there are still occasional camera issues, and some of the puzzles are absolutely frustrating), I would still consider GOW2 one of the best action/adventure games I have ever played, and it is easily among the best in the PS2’s gigantic library. Highly, highly recommended!